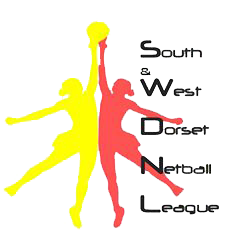 The South West Dorset Netball League was formulated in 1978 following a tournament held on 15 January 1978 in Dorchester. Ten teams entered the tournament with Bridport winning and Radipole runners-up. The summer season then began on 12 March 1978 and the winter season on 7 September 1978. Various venues have hosted the league: Westfield School, Dorchester Modern School, Westham School & Weymouth Grammar School (now Budmouth College), the Youth Activities Centre (now the Weymouth Outdoor Education Centre), and Royal Manor School. The first “Presentation Dance” was held at Nino’s Function Room on 12 September 1981 and attracted a crowd of 147 with tickets priced at £1. In the late 1980’s the League had grown to 32 teams with 4 Divisions. The existing venues of the YAC and Royal Manor School could no longer accommodate the League and the Committee set to work to provide floodlit courts for the League. A fundraising target of £30,000 to surface the courts and install floodlights at Budmouth School was set. Fundraising events were organised by individual teams including quiz nights, car boot sales and a race night. Grants were applied for by Denise Camp and Christine Gould and the overall project provided the League with four floodlit courts and changing facilities and the league transferred to this new venue. At the beginning of 1993 the League set up a partnership with Budmouth Technology College (now Budmouth College) and with funding from The Foundation for Sports & Arts, West Dorset District Council and Chickerell Parish Council, two additional new courts were provided and opened by Jean Cockerell the then Chair of WDDC on Sunday 13 June 1993. As part of the opening day the England U21 squad played an exhibition match followed by a League tournament. In 2008 a new school building was planned for the site of the courts, as part of the building project new courts and floodlights were built within the school grounds. Now, in 2018 the league continues to run winter and summer seasons each year on these floodlit courts at Budmouth College, with 21 teams competing in the current winter season. The Committee are now considering ways in which to enhance the court surface so keep your eyes peeled on future minutes as it is highly likely a further fundraising drive may be required should it be decided to proceed with either a form of deep cleaning or re-surfacing. Over the years representatives from the League have been involved with both the former West Dorset County Committee and the current Netball Dorset Committee. At a playing level players, coaches and umpires have been involved in netball at County and Regional level. Many players represented the former West Dorset County teams. An Echo article from 2003 reported that the West Dorset team would play home matches at Budmouth College in the 2003 English Counties League season and that the following players from the league were included within the squad: Kelly Browne, Becky Fagg, Sue Lee, Sally David, Nicky Marsh, Lucy Yates, Kathryn Reed and Felicity Roper. In more recent years the English Counties League has been replaced by the Regional Clubs competitions. League players have been, and continue to be, involved in coaching and playing in this competition at both Open and age group level. It’s always a challenge to name individuals in case someone is left out, however the list includes: Lou Bugler, Sue Lee, Emily Conning, Amelia CorrieFairhurst, Leanne Holmes, Jaimee Browne, Tia Chaloner and Skyla Erskine. The England Netball Performance Pathway for age group players has also featured youngsters from the area, many of whom have progressed to play in the League. The area is well represented at the Weymouth Satellite and Dorset County Academies and there have also been successes with past and current players being involved in the former Regional Academy at Bath and now in the Team Bath and Severn Stars Performance Hubs: Jasmine Franklin, Leanne Holmes, Katherine Wilberforce, Jessamy Baker, Skyla Erskine, Jaimee Browne, Tia Chaloner, Millie Hambleton-White and Frankie Harris. Hopefully one day soon we will see faces we recognise from our league playing in the Super League and in the red dress of the England Roses. The League’s longest serving player is Sue Lee who began playing in the League in 1978, she missed a few seasons when she moved away for a short period but on her return re-joined the League and still plays and umpires for Waterside in the Premier Division every week. Sue also plays and umpires for Yeovil Netball Club in the Somerset County League and is working towards her B Umpire Award. Finally, on behalf of the League the Committee wishes to extend their thanks to the many sponsors that have supported the teams over the years, and to those that continue to support the current teams in the League, it really is greatly appreciated and gratefully accepted. An extract from the Minutes of 14 June 1978 states: “cases of misconduct were discussed in the light of several reports of violence during matches”. Nowadays they call it “Contest”! !